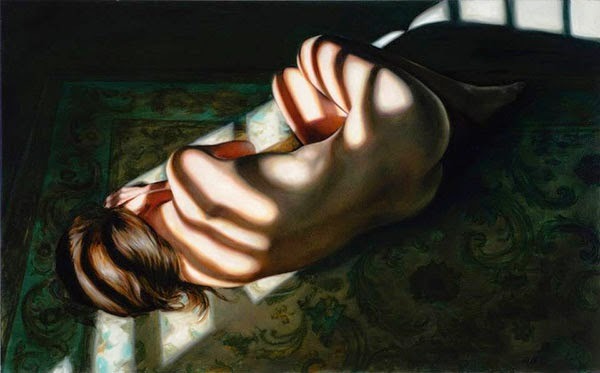 Paintings focusing on the sensuality of the female form as defined by the diffused light coming through the window. The Blue Room paintings continue the narrative of intensely personal space. The figure is vulnerable and again entirely feminine, yet the viewer is disallowed entry to the inner monologue. Rather, the paintings blur and switch between narrative and composition. 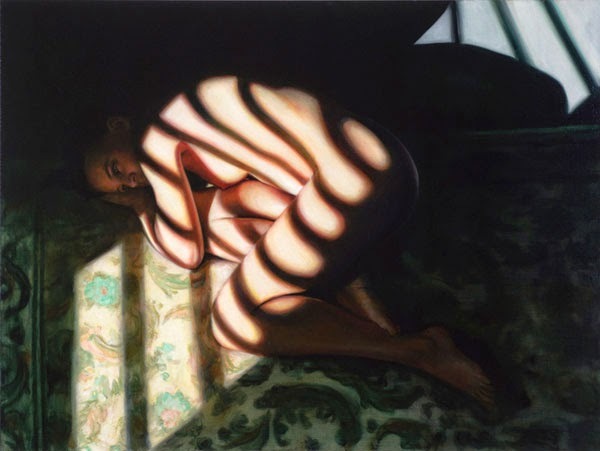 The figure, while central to the space does not dominate, rather, it is the interruption of light’s flow that forms the central narrative and ultimately invests the curve of the figure as landscape.